As Elanco gears up for products transitioning to VFDs, it is proactively adding a "transition" label to bags of Tylan 40 and Tylan 100 products. 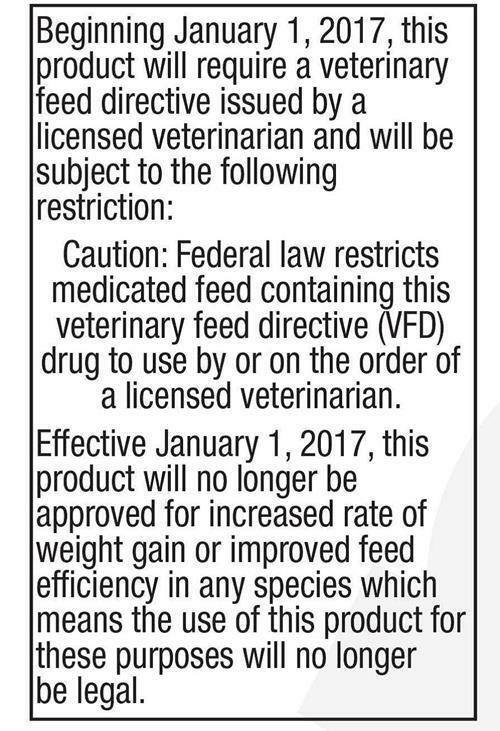 As Elanco gears up for products transitioning to Veterinary Feed Directives (VFDs) by Jan. 1, 2017, it is proactively adding a “transition” label to bags of Tylan® 40 and Tylan 100 products. These labels started to appear in May; no action is required at this time on the part of the producer or veterinarian. Elanco will continue to provide more information as it becomes available. Any related questions should be directed to the Elanco sales team.